The double filtration provided by combination of carbon and sediments filter removes both suspended and chemical impurities such as chlorine, pesticides and various organic chemicals. The alkaline filter and RO membrane collectively purify water to micro levels. 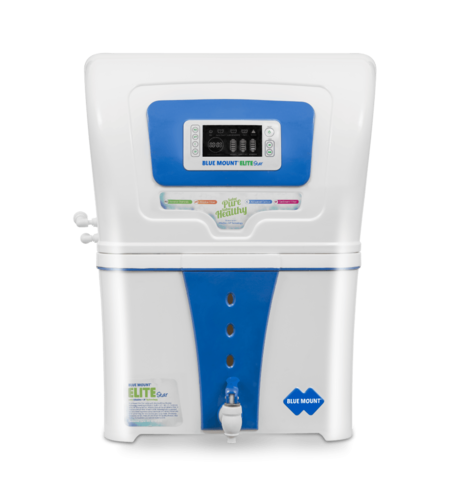 Post purification Alkaline filter modulates and maintains the pH level as well as minerals essential for human body. The LED display constantly senses, measures and shows the quality of water, thus making the healthiest and tastiest water to drink. RO + UF + Antioxidant Alkaline + LED Display System. We, Elmech Power Controls, are world class name in the market established in the year 2002, at Nashik, (Maharashtra, India). We are the leading Wholesaler and Trader of RO Water Purifiers, LED TV, Air Conditioner, etc. All these electronic products are acquired from best vendors of this niche. They are brands that are active from long years of time in this realm. They create these electronic products with dedication with the utilization of best quality machines and cutting edge technology. These electronic products are available with longer warranty, free installation, user manuals and affordable rates guaranteed.